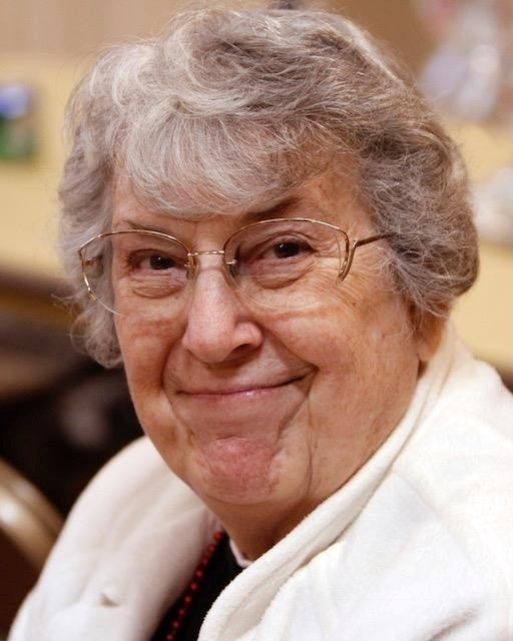 Vrene Robinson passed away on October 18, 2018, in Kuna, Idaho, with family by her side. Vrene battled two bouts of breast cancer and was finally overcome with metastatic cancer in her brain and her lungs. Vrene was born in Alton, Utah, on April 26, 1932. She grew up and graduated high school in Tropic, Utah. She worked summers at Bryce Canyon during her high school years and attended one year of college at Dixie College in St. George, Utah. Vrene went home for the summer and met her husband to be, Gerald Scott Robinson, at a dance. They got married a short time later on April 10, 1953, in the St. George LDS Temple and moved to southern California for her husband to find work. They lived in Englewood, Torrance, Palmdale and Leona Valley and had five children. In 1969, the family moved to Boise, Idaho, where they bought and operated the Mercury Dry Cleaners for many years. They eventually closed down the cleaners so that Vrene could take a job as the Laundry Supervisor in the Boise Idaho LDS Temple, which she she retired from in 1995. Vrene was an active member of The Church of Jesus Christ of Latter-day Saints. She was an amazing seamstress and loved making quilts for all. She also loved getting together with her family and friends. Vrene is survived by her sons Dale Robinson of Boise, DeLane (Allison) Robinson of Colorado, Darel (Karen) Robinson of Hawaii, and son-in law Jerome Roessler of Kuna; 19 grandchildren, 36 great-grandchildren; 7 great-great-grandchildren; and sisters Marva Stewart Thompson and Lorea Stewart Durrant. She was preceded in death by her husband Gerald Scott Robinson; daughters Debra Roessler and Dorene Robinson; a still-born daughter; her parents Otto M. and Hannah Areta Stewart; and siblings Otto Junior Stewart, Levi Stewart and Devora Stewart Blain. Services will be held Friday, October 26, 2018, 11:00 a.m., at the LDS Chapel located at 3200 Cassia St., Boise, with a visitation beginning at 10 a.m. before the service. Interment will take place the same day at 3:00 p.m. at the Idaho State Veterans Cemetery, 10100 Horseshoe Bend Rd, Boise.